It’s a rewarding experience eating your own pasta. 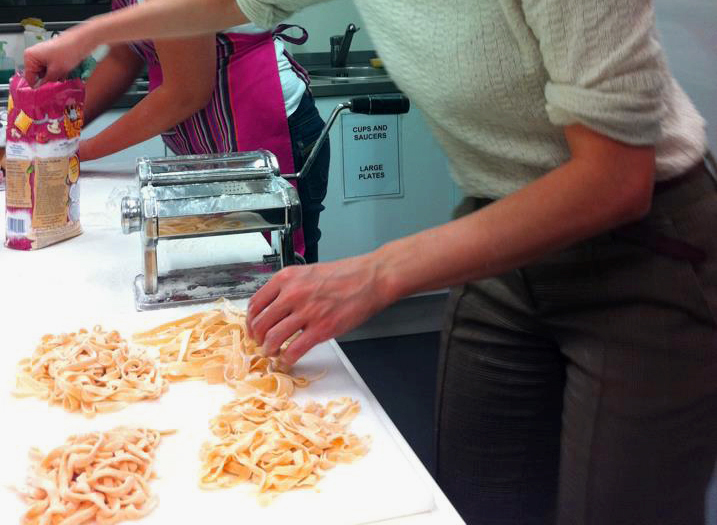 The general rule about pasta is to use 100gr flour with 1 egg per person. The following recipe is therefore enough for one person and needs to be multiplied by the number of people eating. If you can get the 00 Flour it is definitely worth it. 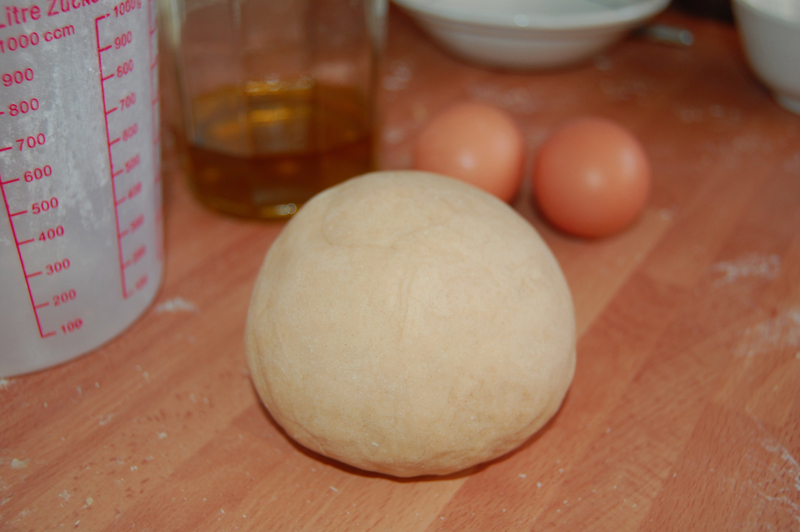 00 Flour (Doppio Zero) is a very finely sieved flour used in Italy for making egg pasta and also cakes.